David Hodges is a Grammy award winning artist. 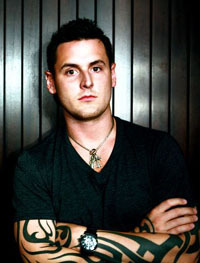 In 2000 he began as a solo artist, but was quickly recruited into the band Evanescence as a keyboardist and backing vocalist. He left after the completion of Fallen in December 2002. 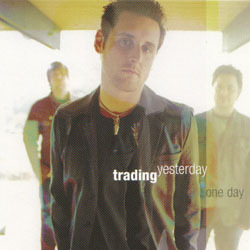 In 2003 he started his own band, Trading Yesterday, which independently put out the CD The Beauty & The Tragedy. Then while signed to Epic Records, Trading Yesterday recorded the album More Than This which unfortunantly got shelved but may yet be released one day. 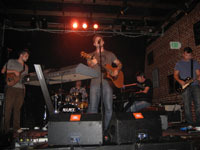 After leaving Epic the band changed their name to The Age Of Information and released an EP in the fall of 2007. By the fall of 2008 David began working on a solo EP after signing with Warner Brothers Records entitled The Rising released to iTunes & Amazon on August 11th, 2009. Today after leaving WB, he is an independant artist free to release music his own way by forming Sleepwalker Records, there are several new projects in the works that will be available to the public very soon. Stay tuned! 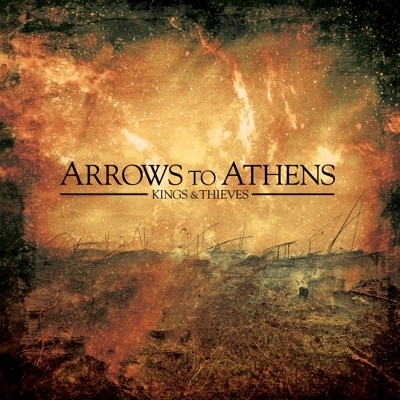 This is the release of the Arrows To Athen's debut album Kings And Thieves. David on lead vocals, Steve Miller on lead ROCK. This is the project that was born out of what was David's solo album with Warner Brothers, touring with Steve Miller, they created this project together and has been developed into a well rounded album. The band will even be playing some shows around Los Angeles this fall in support of it. Tonight they are playing The Mint in LA, more to follow soon. There are no physical copies of the CD available yet, maybe in the new year, until then you can head over to AMAZON MP3 ($7.99) or iTunes ($9.99). This is it folks! Six long years we have been waiting patently for the greatest CD of all time to be released. Caught up in red tape and a shelf deep in the archives of Epic Records so high it was nearly out of reach, MORE THAN THIS sat. But today is the day. The red tape has been cut, the CDs have been printed, and it gives me a great deal of pleasure to announce that Trading Yesterday's album More Than This is now available to the general public. And in other news, David's rock project with Steve Miller, Arrows To Athens has been mastered and is expected to be released in about a month or so. More news on that closer to it's release. Also just today a preview of the Arrows To Athens project has been posted on the official site. It is two songs that were first played on the Daughtry tour last year but are finally seeing the light of day. Check them out! As always the lyrics are up on this site on the lyrics page. After parting ways with Warner, there are several new projects in the pipeline. --Avox (October 2010) - Instrumental partnership between David & composer John Campbell. 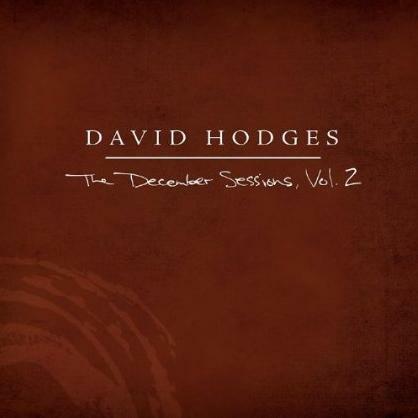 --David Hodges: Acoustic (December 2010) - An acoustic album of all new material. --Arrows to Athens (February 2011) - Rock and roll band partnership with guitarist Steve Miller. Stay tuned for developments on each of these new projects! The Rising made an impressive debut it's first week out. The screenshot below was from iTune's top rock albums. He is officially a top 10 artist. Thank you to everyone who has purchased it! And if you still have not yet, head over to iTunes or Amazon and download it. In other news, I have updated the Lyrics section with some of the older unreleased songs. They are always nice to have for reference purposes. Thanks to Rob, Andrew, & Silhouette for the help! The day we've been waiting for is here! The Rising EP is now available to download from iTunes & Amazon . After you do get it, please write a review on their site with what you think of it. Let Warner Brothers know we want more! You are now able to download the MP3 of the first single "Hard To Believe" FREE by signing up for the email list. We have the Lyrics for you. Thanks to Andrew for transcribing them. The rest of the EP will be released this coming Tuesday August 11th on iTunes. 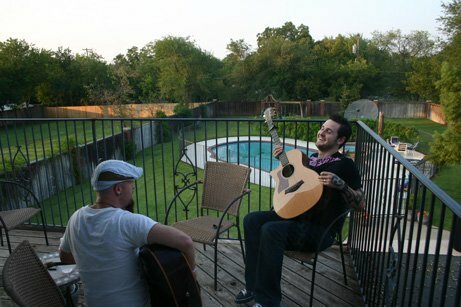 A new song with lyrics has been posted on the MySpace. "When It All Goes Away"
Check it out! It sounds great. Thanks to Andrew for transcribing the lyrics! In other news, David will be hitting the road with Daughtry in August for a string of shows. Most of these are already sold out unfortunately but if you get the change to catch one, give us a review at the message board. Any video or audio from the show would be appreciated too, for those of us less fortunate. After several months of work on the new Warner solo project, some new music should be ready soon. There will be a song on iTunes within the month called "Another Red Light". This song isn't the single, but ABC wanted to use it for a commercial they decided to have the song available for people to buy as well. And they are hoping for the release date around May for the first in a series of EPs. The day we waited for is here. The new EP is now available to buy. 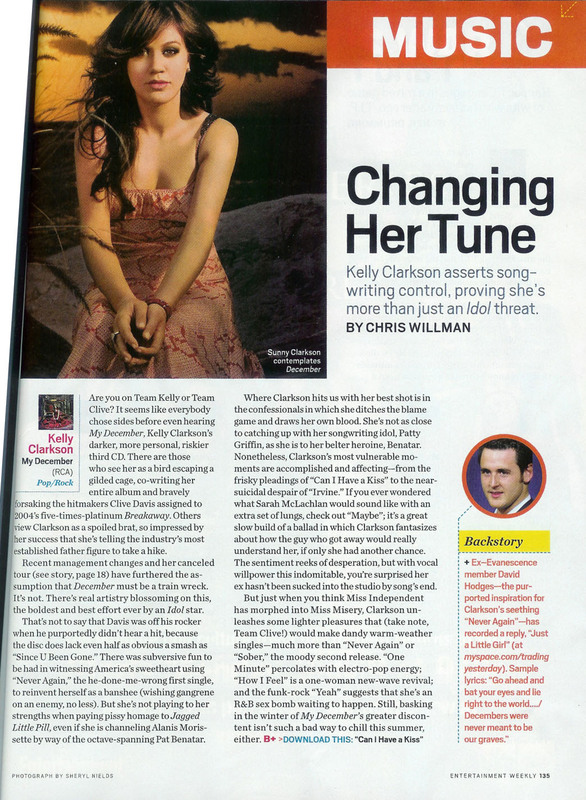 There's a small mention included in the newest issue of Entertainment Weekly. David posted a new demo of a song called "Just A Little Girl" which is a rebuttal to a single by a former idol currently on the radio. Go to the MySpace to hear it! Tell all your friends about it, that way they can all hear the other side of the story too. Very soon we will have news on the upcoming EP. It's slated to be released end of June/early July. With it will be a new band name, new MySpace, new merch... check back SOON for those details. This past weekend Trading Yesterday opened a show for Chris Tomlin, a big name in the Christian music world. It was the biggest show the band has played thus far, and its only the beginning. There's some pictures from the show posted thanks to Dan. Trading Yesterday has started playing some shows around the LA area. TYboard member Megan was at the show last night and took some great pictures for us. Trading Yesterday's drummer and co-founder Mark Colbert has opted to leave the band to pursue a career as an audio engineer. Read his full official statement here. As for Trading Yesterday, the band has been gearing up and rehearsing for some live shows around the Los Angeles area later this summer. Dan James (formerly of beautifulYou) will be filling in as interim drummer for these shows. Charlie Hall's record comes out today, Jan 24. It was produced by TY frontman David Hodges. You can listen to a couple of tracks at charliehall.com (and I think see some videos and pics of them in the studio) and buy a copy at http://shop.planetwisdom.com/hall/. If you like Charlie's music then please buy a copy and, if you can, buy it this week. First week sales are really important to see how much support a label will give an album. "we haven't been happy with epic sitting around and i guess they haven't been as amped about our band as we had hoped. so as of tuesday, the 15th we are no longer signed with epic. as of wednesday the 16th, trading yesterday went back into the studio with new stuff. not that we didn't like more than this as it was, but we wanted our record to reflect our journey and where we are in it and we felt that leaving it like it was wouldn't make it complete. we'll have the new stuff finished soon and at the beginning of next year we'll start shopping it to labels. yes, it's kind of like starting over because we are now officially an indie band. but no, we're not starting over because we have a completed piece of work that could be put on the shelves tomorrow (ok, in a couple of weeks). sorry you guys have been in the dark, but 2006 will rule." David has been busy the last couple months. The song "One Day" will be on the soundtrack for the movie Stealth, in theaters July 29. The label is now looking to push the single in November with the CD release around February of next year. The single has been released. It's been shipped and several copies have already hit ebay (some for astronomical prices). You can hear a clip of it and see the new lyrics here, or stream the entire track at MySpace (for free, screw ebay). 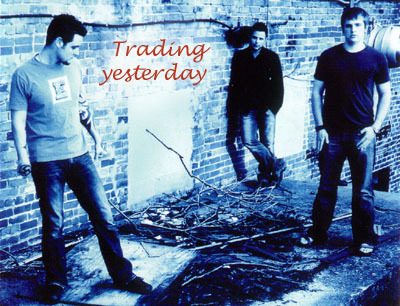 MySpace Music: Trading Yesterday is now up and running. The account is maintained by myself & Katie(kittimod) on David & the band's behalf. On a side note, if you saw something out of place on the site or forum yesterday, that was strictly for April Fools. Kelly Clarkson releases a DVD, Behind Hazel Eyes which features David in several segments. See some captures below. The album is done!!! 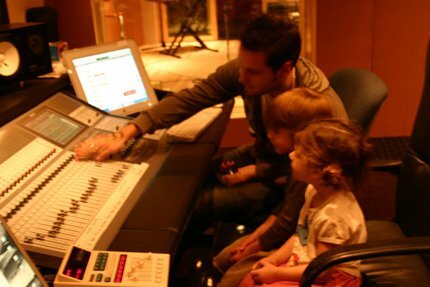 Recording, strings, mixing, mastering... DONE! Now the promotional machine begins. Due to many shortcomings on the official board, this site launches a new forum. To register CLICK HERE. Official site for Trading Yesterday launches. Passion of the Christ: Songs (Original Songs Inspired by the Film) is released. The song "Only Human Only God" by David & Ben Moody was NOT included. 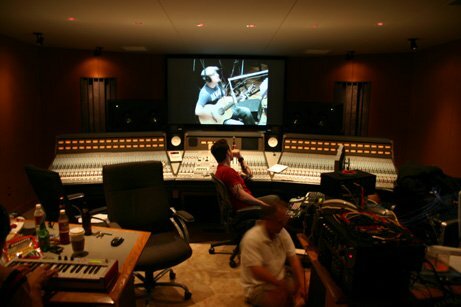 The band moves to Los Angeles, CA to begin work on the new album. 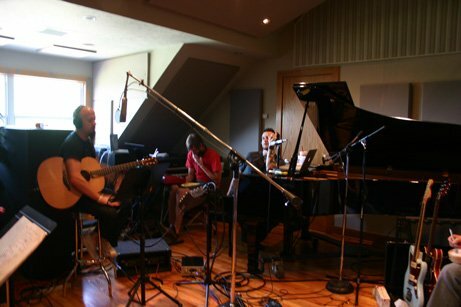 Ben Moody (of Evanescence) & David along with Mark Colbert (of Trading Yesterday) work of 3 songs for Kelly Clarkson's album Breakaway. "Because Of You" & "Addicted" make the album, "Bleed For Me" does not. We recently got the chance to do an indepth interview with David Hodges. Everything from the man himself, to his music to his time with Evanescence. Trading Yesterday performs at Maumelle Fourthfest in Lake Maumelle, AR. CD Release Party for Trading Yesterday's debut independant release The Beauty & The Tragedy. It takes place at the Summit Church in Little Rock, AR. Congratulations to David & Evanescence for winning 2 Grammy Awards. Web site launch. 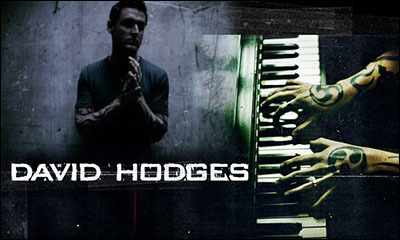 First and only fan site for David Hodges, complete with all lyrics. 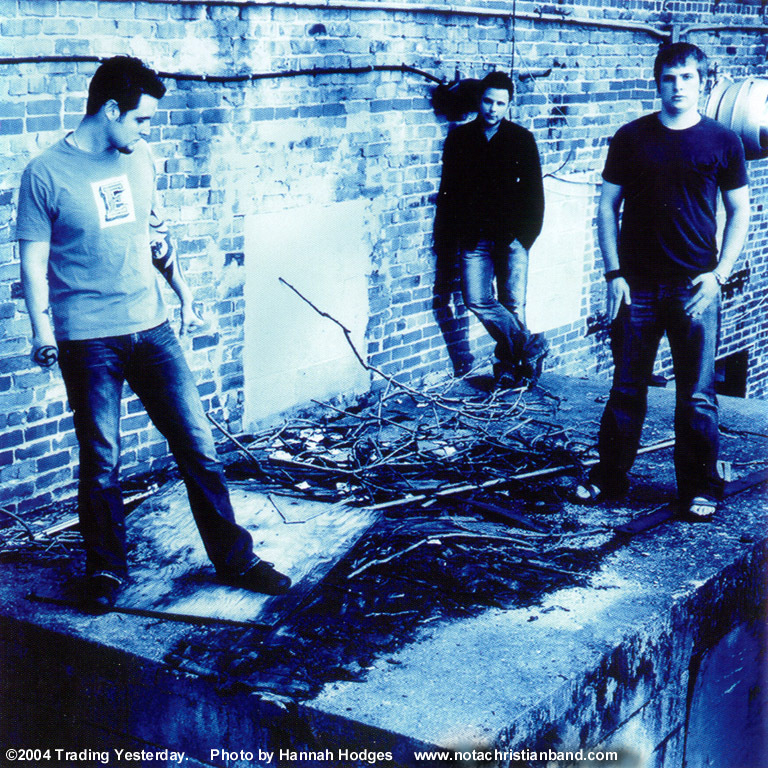 David Hodges, Mark Colbert, Steven McMorran. Photo by Hannah Hodges.